Barossa Enterprises has a proud reputation of supporting people with disability to have a good life. We’ve been engaged with the local community for 40 years and have grown to become the largest provider of disability employment in the northern regions. 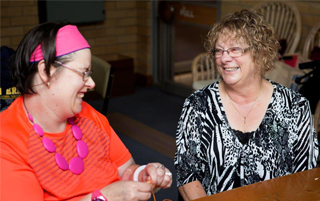 We believe in attracting people whose main priority is about making a positive contribution to enhance the skills, engagement and independence of people with disability. With a flat management structure and accessible Board of Directors, we can make decisions as a business without the usual layers of bureaucracy, which enable us to react quicker and maintain our flexibility. We empower our people to be self-managers and use their initiative to create better solutions and outcomes. As a Not-for-Profit organisation, we offer attractive salary packaging options which make a real difference to take-home pay. Our salaries are market-competitive and we have a good understanding of job flexibility and work-life balance. Our team is close and united and our staff turnover is low by industry standards. People who come to work with us, generally stay with us. The result is a team built on mutual respect and a shared passion. If this sounds like the sort of organisation you’d like to be a part of, we’d like to hear from you. Our largest opportunity for employment is Support Worker. It could be in the home, the community, group activities coordination or in the packaging and timber production areas. Our roles currently available are listed here. At Barossa Enterprises, we run a Volunteer program called Gemeinschaft – a literal translation for ‘community’ in German. It describes community as united by common interests, personal or family ties. It’s a term which describes those old fashioned, often rural close-knit communities where everyone works together to support each other in business and daily life. We understand the important contribution our Volunteers add to our business and see them as invaluable members of our team and workforce. 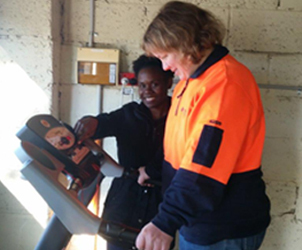 At Barossa Enterprises we offer your company an opportunity to volunteer and work alongside people with disability. Whether it is one day a month or once a year, there is an opportunity to increase your company’s goodwill and social responsibility. The most important benefit of corporate volunteering is engaging with the people we support who live and work in our community. If you are interested in corporate volunteering and the opportunities on offer, please contact Karina Piro, Community Engagement Manager on 8562 4855. Barossa Enterprises supports Work for the Dole programs. We believe that it is an opportunity for people to learn new skills, improve or enhance their communication and assist them in returning to the workforce. Our Work for the Dole program is seen as a positive experience for both us and the participants. As a Not-for-Profit organisation, Work for the Dole participants assist us with labour resources and help us give back to the community in a meaningful way. 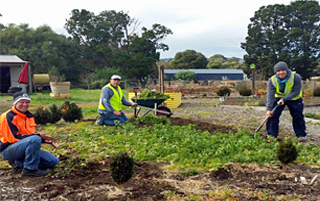 Some of our Work for the Dole opportunities include Administration support, working in a production & woodwork environment and helping in our Community Garden. Please see your Provider if you are interested in being part of the Work for the Dole placement at Barossa Enterprises, or contact Karina Piro, Community Engagement Manager on 8562 4855, for an initial discussion. Barossa Enterprises supports the education and placement hours of students. We offer a safe, welcoming and ethical environment to do placements, where students are introduced to our policies, practices, procedures and person-centred approach. Options for placement include home support, community engagement and production support in our workshop. To enquire about placement possibilities, contact Karina Piro, Community Engagement Manager, on 8562 4855. At Barossa Enterprises, we believe that students on placement are our potential staff. 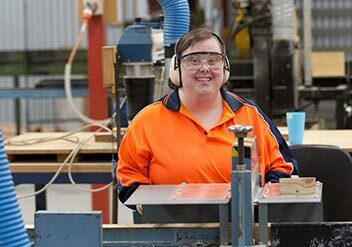 Barossa Enterprises provides meaningful employment for over 100 people with disability. Click here to read about our services and supports.